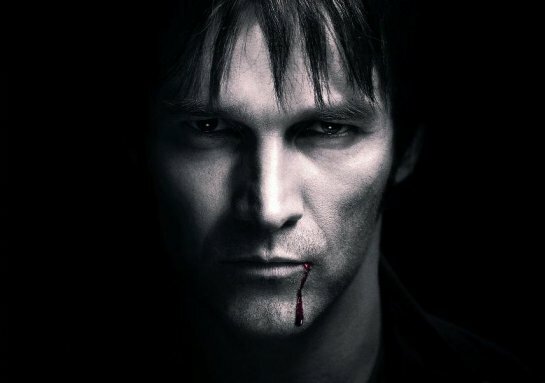 Vampire Bill Compton goes missing and a werewolf attacks Sookie Stackhouse in her workplace, Merlotte's. Just another routine day for the waitress in Bon Temps who, before dating a vampire, had never had anything remotely interesting happen to her. However, the disappearance of her undead boyfriend leads Sookie to Jackson, Mississippi, aided in her mission by another werewolf, Alcide Herveaux (who has been sent by Vampire Sheriff Eric Northman). Using her abilities, the telepath engages in reading the minds of Humans at a local vampire bar, Josephine's (also referred to as Club Dead, hence the title of the novel). Typically there is chaos as she rejects the unwanted attentions of a Were. There is a ruckus during which she is injured, though not severely. On a plus, the altercation does allow for her to come to the attention of Mississippi vampire king Russell Edgington - who, it is later revealed, orchestrated Bill's kidnapping. One mystery designed to keep fans guessing until the final moments of the book is the murder of werewolf Jerry Falcon - the guy who marked Sookie at Josephine's, and who had caused the commotion. However, for this reader that little question was firmly answered in Chapter 10, with the reappearance of Bubba (a character I have now decided closely resembles Lennie Small from John Steinbeck's 1937 masterpiece "Of Mice and Men"). The signs were all there: the broken neck (Bubba is very heavy handed, he committed a similar killing in Chapter 2 when he crushed another werewolf's throat to protect Sookie) and the lack of motive for stuffing the body in Alcide's closet. It was a predictable hanger-on that was finally laid to rest by Chapter 14, though it could, and should, have been much sooner. "In American usage, bubba is a relationship nickname formed from brother and given to boys, especially eldest male siblings, to indicate their role in a family. For some boys and men, bubba is used so pervasively that it replaces the given name. The nickname may also be used outside the family by friends as a term of endearment." Bubba: What does it mean? "Life had sure been simpler when I hadn't dated." Invited to spend a second night at Josephine's, Sookie and Alcide mingle with the regulars, soaking up the atmosphere and keeping to their story of being a "couple". This time the waitress's telepathic abilities serve their purpose when she senses that one of the crowd is preparing for "Martyrdom" ("When I die, my name will be famous") and will stake a vampire. Intervening, Sookie is injured, this time a life threatening stab wound (staked by a Human fanatic). Ouch. Ever heard the saying "Every cloud has a silver lining"? Well in this case, being severely wounded and close to death couldn't have placed Sookie in a better situation. She is taken to Russell's home - a mansion - where another vampire heals her. It is here where Bill, her lover, has been held and tortured. A rescue mission is quickly put together, with help from Eric (present in Mississippi under false pretences). This is where we see a much stronger side to Sookie, pure survival instinct during a clash with female vampire and Bill's former lover Lorena; it is a defining moment in the book series, a shift that can only reach out further to explore the telepath's unexplored aspects and possibilities. Drama unfolds in quick succession: Sookie at the mercy of Bill (he has been tortured, sleep and blood-deprived for far too long), a gas station raid and a further werewolf attack. Like I said, just another routine day for the waitress in Bon Temps. With the fourth book "Dead to the World" set three weeks after events in "Club Dead", there is still plenty to explore in the world of Sookie Stackhouse. A little slower in pace than Book 2. The return of Bubba, for me, once more proves he is either an underused character or, possibly, a waste of page space altogether. The easily resolved dispute between Russell and Eric concerning Bill's kidnap and extreme torture (and Bubba's capture) quite simply makes the whole conclusion feel light in consequence - or meaning - to the plot. That said, "Club Dead" is a page turner, and draws you in quite firmly.